Waffle fries might seem like something you can enjoy only in restaurants, but, with the proper tools, you can actually make them at home! 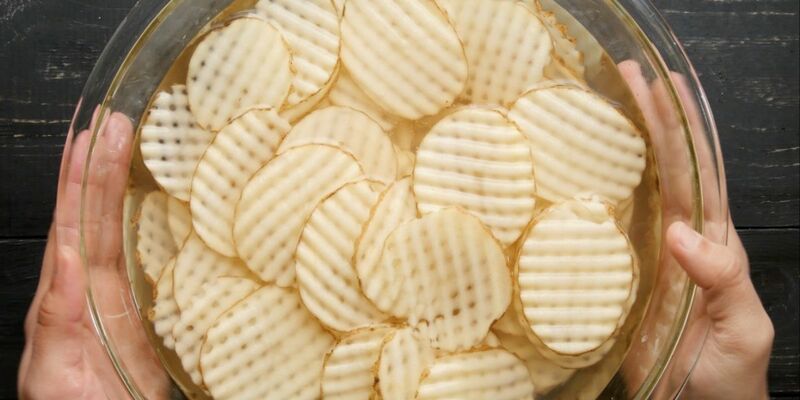 All you need is a mandoline slicer, and these fries are within your reach. In the recipe below, they're tossed with a spice mix, like curly fries, for even more flavor. A flour-based batter ensures this combo of paprika, garlic, onion and cayenne sticks to your fries and makes them crispy and flavorful. Serve them with ketchup, mayonnaise or both for a delicious restaurant-style side at home. Set the fluted blade of a mandoline to 1/2-inch thickness. Slice the potatoes, rotating 90 degrees after every slice. Set the potatoes in a large bowl of water to prevent oxidation. Preheat the oil in a deep fryer or very deep, heavy-bottomed pot, such as a cast-iron Dutch oven. Use a candy thermometer to monitor the frying temperature, and heat to 320 degrees. Drain the potato slices, and pat them dry. Cook for 5 to 7 minutes, then set aside on paper towels. Whisk the flour, spices and water together in a bowl. Heat the fryer to 375 degrees. Dip the waffle fries in the batter, and allow excess to drip off. 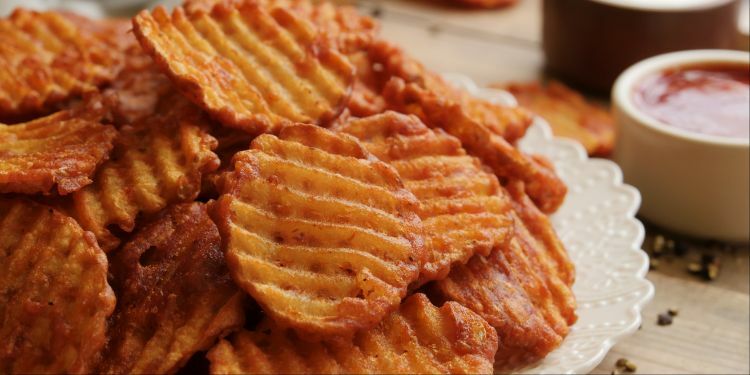 Fry each batch for 2 to 3 minutes until the fries are golden brown. Remove the fries from the oil, and drain them on paper towels. Serve hot.